I’m a binge reader. If I find an author I like or become interested in an era or a place, I will read everything I can get my hands on written by or about my new interest…fiction, memoir, biography…anything. One might even call it obsessive. I’m heavily into reading Irish mysteries these days. Just finished reading my second Adrian McKinty book. (I Hear the Sirens in the Street set in Belfast in the 80’s, during the “troubles”) and I’ve been listening to the Tana French novel Broken Harbour (set in modern day Dublin) on my i-pod. So it’s been like all Irish, all the time! I think I became interested in Irish literature a few years ago after I finished reading the Canadian novel Away by Jane Urquhart, about an Irish immigrant to Canada. If you haven’t read it, you must. It’s probably my favourite Jane Urquhart novel. And after Away I began to look for books set in Ireland. I read Roddy Doyle starting in the 90’s. (The Commitments and The Snapper: love, love.) I read Frank McCourt. (didn’t we all?) ( Remember the part in Angela’s Ashes where the kitchen of their house floods in the winter rains and the parents move all the furniture upstairs where it’s warm and dry, with a big fire in the grate? And the dad says it will be just like they’ve gone on vacation to somewhere foreign, where it’s warm, like Italy? I love the scene where little Frank tells “the men” who ask where his parents are that “they’re in Italy.”) I read Elizabeth Bowen (The Last September.) 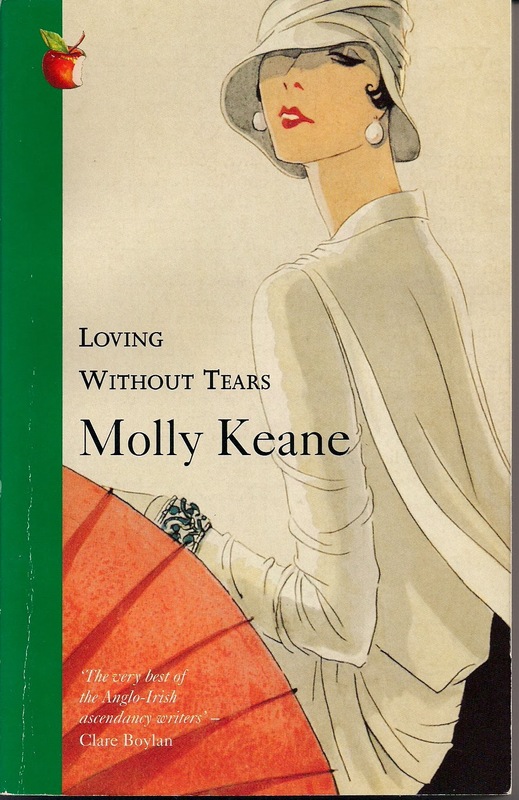 I read all of Molly Keene and particularly loved Good Behaviour. Her novels are described as portraying “the ramshackle Anglo-Irish way of life” of the early and mid 20th century. I read them because I am obsessed not only with Irish books, but also with the 20’s and 30’s. I mean, I think I bought my copy of her novel Loving Without Tears simply for the cover. Seriously…that hat is divine! Then, thanks to a friend from my book club, I discovered Nuala O’Faolin’s book My Dream of You. It’s a novel about a present day Irish travel writer who chucks her life in London, returns home to Ireland and, in writing a book, gets wrapped up in the history of her own land. 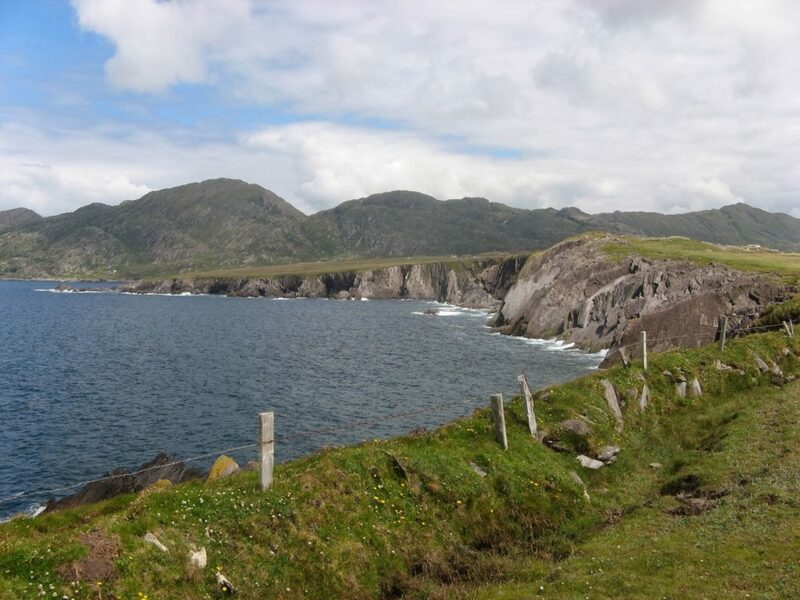 She learns stuff she never knew about Irish history, the potato famine and ultimately herself. I remember my friend said that she was so obsessed with the book that she carried it everywhere and even when she was stopped at a red light she couldn’t resist pulling it out of her purse to read the next paragraph. So I became a little obsessed with all things Irish in the next few years. 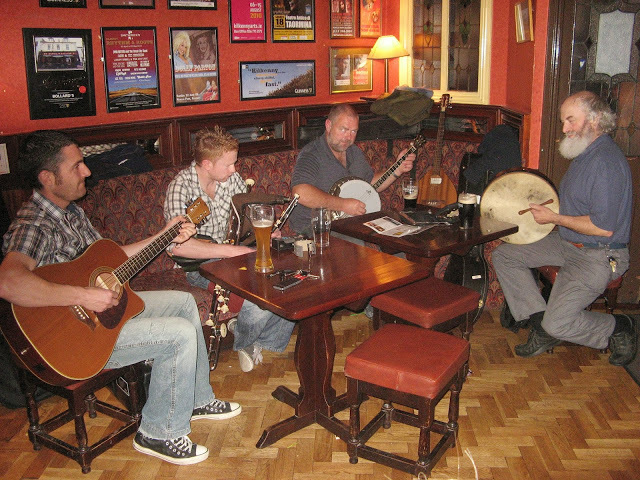 And eventually, like the character in O’Faolin’s book, I began to dig a little into my own Irish heritage. And then my husband and I began to plan a trip to Ireland. Well, that kicked things up a notch! In between booking B&B’s and marking essays and exams, I found out that my great-great-great grandfather Michael O’Sullivan was born in Tralee in Co Kerry, that he emigrated to Canada in 1819 as a member of the British regiment, the Royal West India Rangers which was disbanded in Saint John, New Brunswick. The West India Rangers (according to the website of the Irish Canadian Cultural Association of New Brunswick) was made up of deserters from other regiments and men whose sentence for civil crimes was commuted if they joined the British army. Michael O’Sullivan, my ancestor, is listed on his discharge papers as a “deserter.” I chuckled when I first read this bit. Maybe as an Irishman from Co Kerry, he couldn’t stick fighting for the British? My grandfather always held that his ancestors were kicked out of Ireland for horse thieving. As kids we always laughed at this story, as we were meant to…but maybe it has more truth than we thought. Soldiers from the Rangers who wanted were given land grants and those that didn’t want were paid a princely sum of 10 pounds and left to shift for themselves. Luckily my ancestor did want, and he and 61 other men and their wives and families were transported up the Saint John River to a place that became known as Ranger Settlement. The farms of these new immigrants nudged up next to the US/Canadian border. Ironic when you think that most of the men in that regiment were “pressed” into service in some way, and even when they were released and given the opportunity to start afresh, they were part of the British plan to populate the border areas to provide a buffer against a possible American invasion. Ah the Irish…canon fodder to the end. 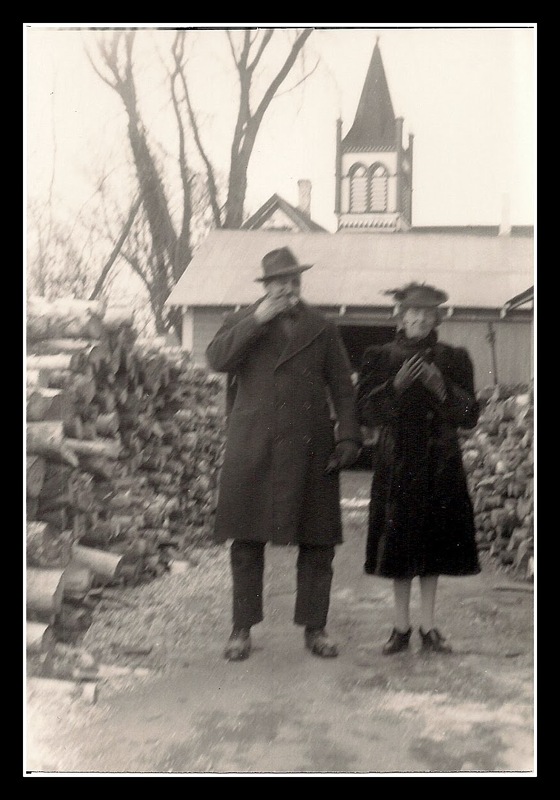 My grandmother and grandfather Sullivan. 1940’s. Love Grammy’s prim little shoes. Our eventual trip to Ireland did not disappoint. I adored it. Everything. The people, the music, the rain, the cold, the eventual sunshine, the countryside, the narrow roads, getting lost more times than we could count, the cities, the history…well…everything, really. We stayed in wonderful B&B’s and one whole week in a beautiful, little stone cottage with a coal fireplace. 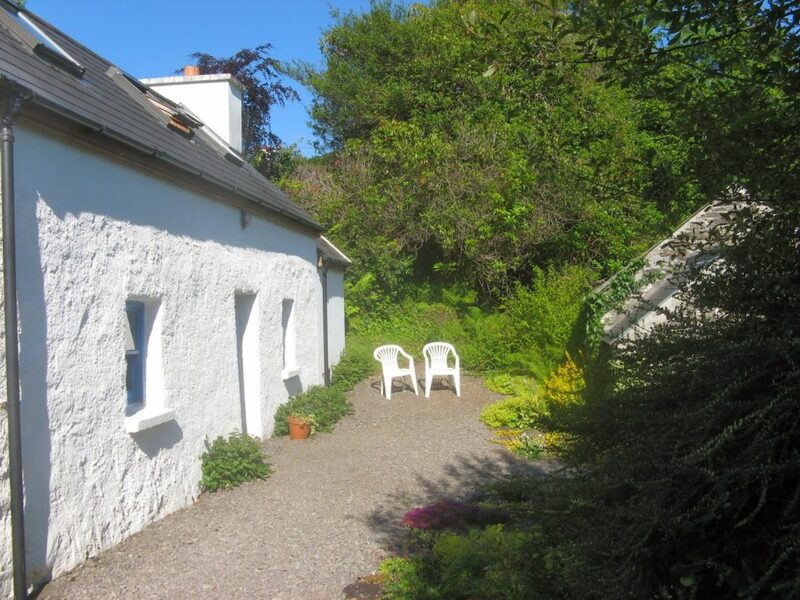 Our stone cottage near Bantry, Co Kerry. We met funny, charming, helpful people. We learned to love Guinness. We listened to stories and told some of our own. I come from a long line of story tellers. A longer line than I realized, apparently. Boys in the band. A pub in Kilkenny. 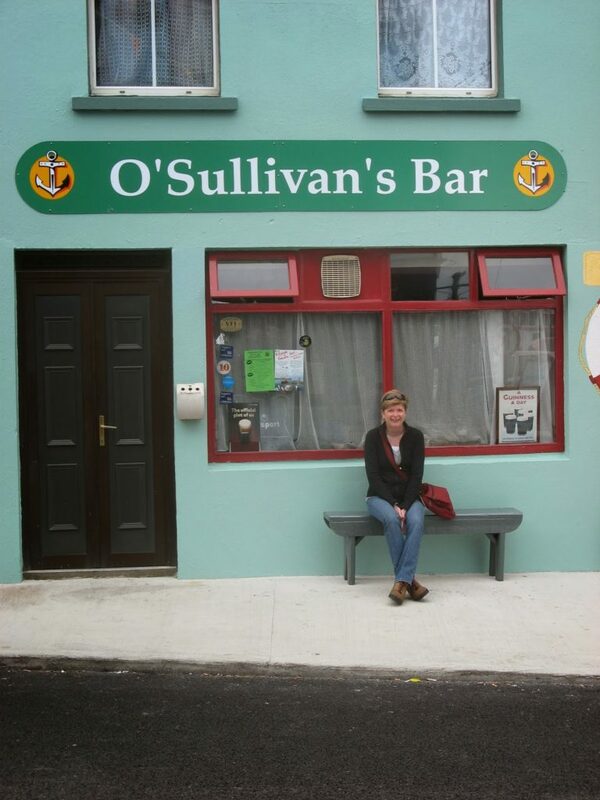 Everywhere we looked, we saw O’Sullivan’s Bakery, O’Sullivan’s Pharmacy, and my favourite… O’Sullivan’s Bar. This is me above, waiting for opening time. My grandfather Sullivan would have loved this! And presumably my great-great-great grandfather O’Sullivan would have too. When my husband and I travel I like to find out about local writers, writers who are new to me, whose work I might not be able to find back in Canada. And so in a small book store in Galway I had a long conversation with the man behind the counter. And I left with two new books by Irish writers I never knew existed. This is not to say that I read only books by Irish writers..just that I keep coming back to this particular “interest”…er, ah … obsession. Are you a binge reader? Time for Change. And I’m Not Talking About My Hair. Aaargh, so annoyed that my comment seems to have disappeared. Yes, I do binge-read. Paris has been a focus. And then I recommended some Irish mysteries in case you didn't know Tana French or Ken Bruen . . . Thanks for the recommendation. Actually Ken Bruen was one of the writers recommended to me by the guy I talked to at a book store in Galway. It was so cool (sound like my students!) to be reading his work set in Galway…while exploring Galway ourselves. Speaking of Paris…I'm sure you've read The Paris Wife. I loved it. There are scenes in it that seem (to me anyway) to echo parts of A moveable Feast. Clearly Paula McLain knows her Hemingway!